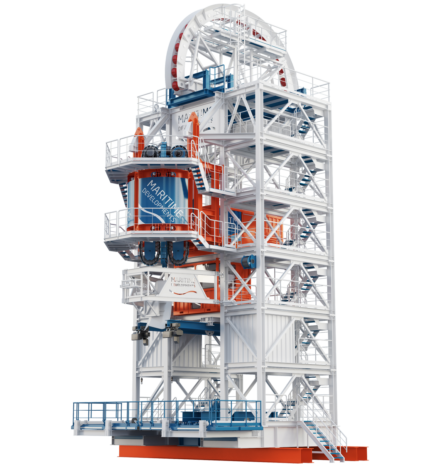 Portability in pipelay gains a new name, with the arrival of the award-winning MDL PVLS. The Portable Vertical Lay System is the first truly road-transportable VLS on the market, which can travel in modules to meet the product reels at their home ports, before being reassembled on the quayside. All the ancillary equipment is pre-installed before the system is lifted onboard, either mounted over the moonpool or the side of the vessel. This results in quick mobilisation and demobilisation once the project is complete. The result is a self-contained and compact Plug&Play solution, modifiable to suit varying line-pull requirements, operational weather windows and types of product handled during every individual campaign. Get in touch to find out how the MDL PVLS can multiply your flex-lay opportunities. 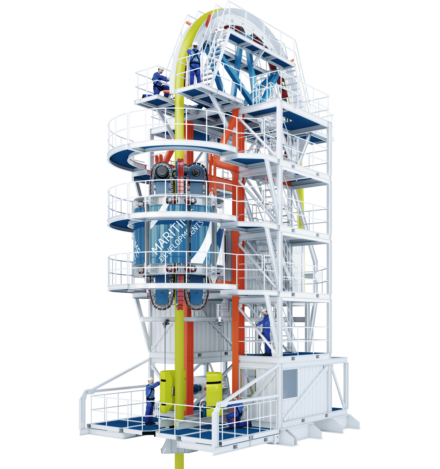 As well as vertical lay systems, Maritime Developments delivers the full turnkey package of back-deck handling equipment including tensioners, reel drive systems, overboarding chutes, spoolers, level winders, compensators and control systems. Our vertical lay systems are designed and manufactured to comply with PUWER / LOLER requirements and have DNV certification. The control systems are designed for safe, efficient product handling with data logging as a standard feature. This ensures instant access to critical product lay information with the option to record the data which can be accessed during or post operation.